Pauly D and Vinny Talk to The Situation 'Almost Every Day' From Prison - celebrities life, news, blogs, photos, gossip etc. 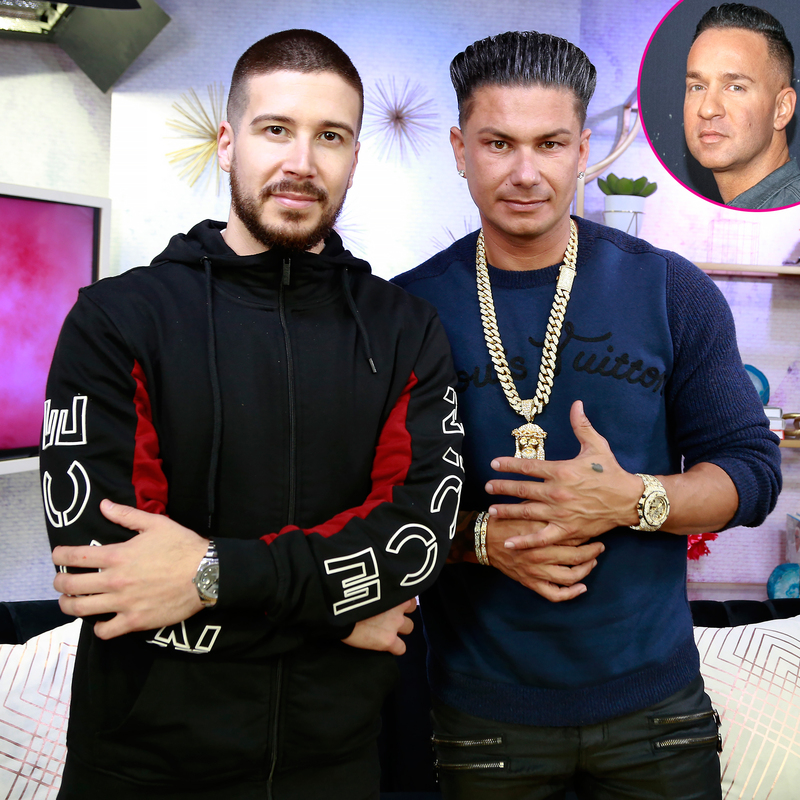 How often do Paul “DJ Pauly D” DelVecchio and Vinny Guadagnino talk to their Jersey Shore costar Mike “The Situation” Sorrentino, who is currently in prison? Quite frequently! Guadagnino, 31, explained, “We talk to him all the time. There’s, like, an app that we can talk to him on.” The Keto Guido added that the Here’s the Situation author, 36, is staying “positive” as he completes his sentence. The New Jersey native and his brother, Marc Sorrentino, were indicted for tax evasion in September 2014. Mike reported to the Otisville Federal Correctional Institution in upstate New York on January 15 to begin his eight-month sentence. Marc, for his part, began a 24-month sentence at the Federal Correctional Institution in Fairton, New Jersey, two days later. The Situation is set to be released on September 13, 2019, but his longtime friends said he is not focusing on becoming a free man. “He lives at, like, literally … one second at a time,” Guadagnino divulged. “Like, he doesn’t even think [about getting out].